The emerging field of network science represents a new style of research that can unify such traditionally-diverse fields as sociology, economics, physics, biology, and computer science. It is a powerful tool in analyzing both natural and man-made systems, using the relationships between players within these networks and between the networks themselves to gain insight into the nature of each field. Until now, studies in network science have been focused on particular relationships that require varied and sometimes-incompatible datasets, which has kept it from being a truly universal discipline. Computational Network Science seeks to unify the methods used to analyze these diverse fields. 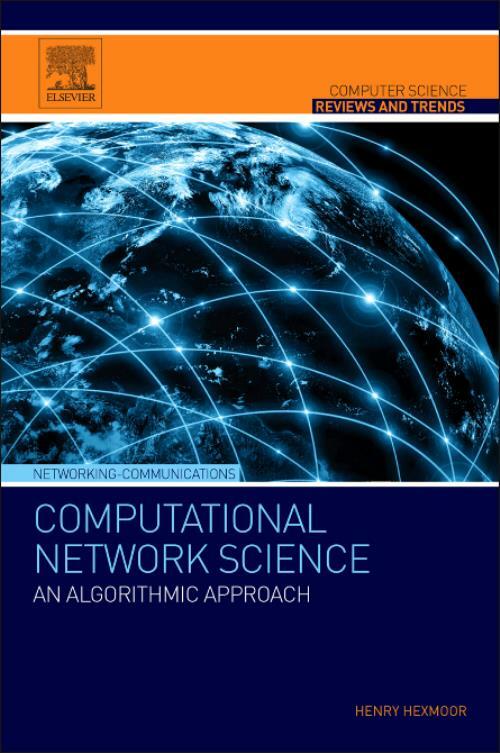 This book provides an introduction to the field of Network Science and provides the groundwork for a computational, algorithm-based approach to network and system analysis in a new and important way. This new approach would remove the need for tedious human-based analysis of different datasets and help researchers spend more time on the qualitative aspects of network science research. Henry Hexmoor, received an M.S. from Georgia Tech and a Ph.D. in Computer Science from the State University of New York, Buffalo in 1996. He is a long-time IEEE senior member and has taught at the University of North Carolina and the University of Arkansas. Currently, he is an associate professor with the Computer Science department at Southern Illinois University in Carbondale, IL. He has published widely in the fields of artificial intelligence and multiagent systems. His research interests include multiagent systems, artificial intelligence, cognitive science, mobile robotics, and predictive models for transportation systems.